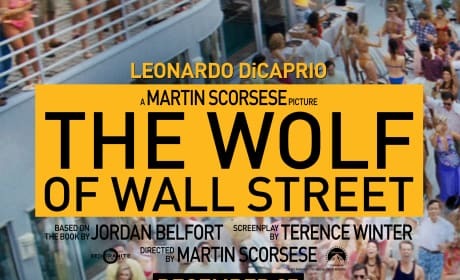 These The Wolf of Wall Street movie posters show off the exciting fifth collaboration between Leonardo DiCaprio and Martin Scorsese. 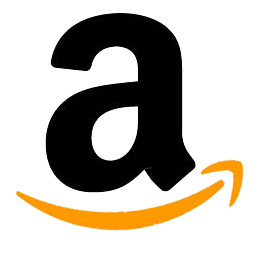 The Blu-Ray for The Wolf of Wall Street. Leonardo DiCaprio and Jonah Hill star in the Martin Scorsese pic. The Wolf of Wall Street stars Margot Robbie and Leonardo DiCaprio. 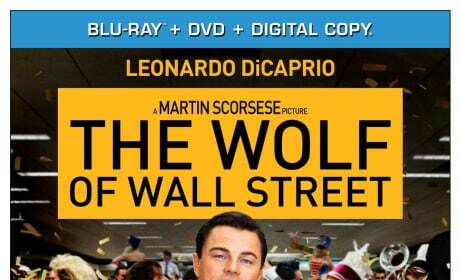 The Wolf of Wall Street is from Martin Scorsese. Margot Robbie in The Wolf of Wall Street. Robbie is making her American movie debut with The Wolf of Wall Street. 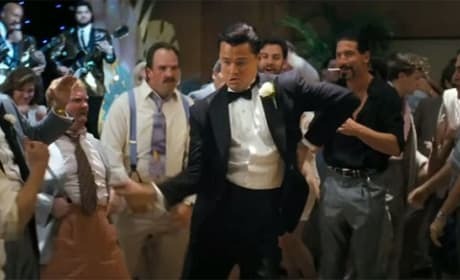 Leonardo DiCaprio busts a move in The Wolf of Wall Street. 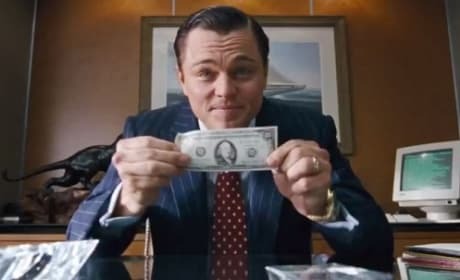 The Wolf of Wall Street if the fifth film DiCaprio has been directed by Martin Scorsese. The Wolf of Wall Street star Leonardo DiCaprio. It is the fifth film with him and Martin Scorsese. 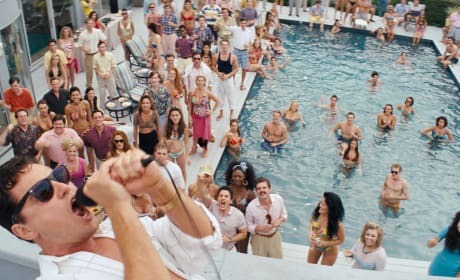 Leonardo DiCaprio stars in The Wolf of Wall Street. Jonah Hill and Matthew McConaughey also star. 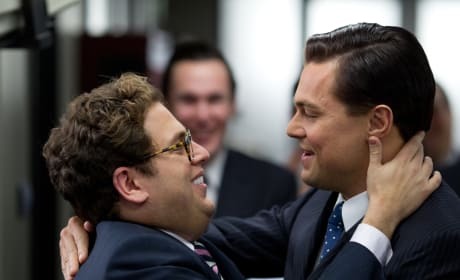 The Wolf of Wall Street stars Jonah Hill and Leonardo DiCaprio. The latest from Martin Scorsese lands Christmas Day. The Wolf of Wall Street stars Leonardo DiCaprio. 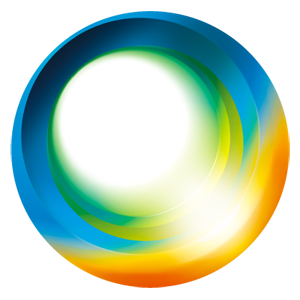 The film also stars Jonah Hill and Matthew McConaughey. The Wolf of Wall Street Leonardo DiCaprio character poster premieres. 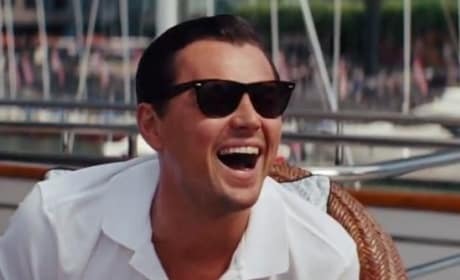 DiCaprio is in his fifth Martin Scorsese film. The Leonardo DiCaprio centric The Wolf of Wall Street poster. Matthew McConaughey and Jonah Hill also star in the Martin Scorsese movie. 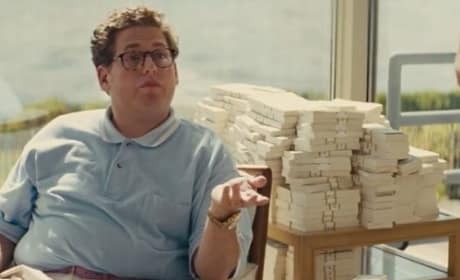 Jonah Hill stars in The Wolf of Wall Street. Leonardo DiCaprio also stars in his latest film to find him directed by Martin Scorsese. 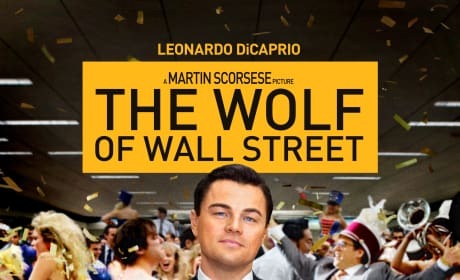 The Wolf of Wall Street is the fifth film featuring Martin Scorsese directing and Leonardo DiCaprio starring. It is a riveting true story.